Black Asian Minority Ethnic (abbreviated to BAME) practitioners are disproportionately under-represented in leadership positions in Secondary schools in England. There is a lack of inclusivity within the literature supporting the Distributed Leadership (DL) theory; power is currently distributed using the literature as a guidance which has implications due to a colorblind approach (Mabokela and Madsen, 2003) that fails to address issues of race and diversity. This study argues that institutionalized barriers within the recruitment process contribute towards the lack of BAME practitioners in leadership positions, examines the barriers for entry and discusses how the DL structure requires a new outlook in order to become inclusive for all practitioners. This paper concludes with the critical analysis of leadership development programs that are used to support BAME practitioners. There is increasing concern that Black Asian Minority Ethnic (BAME) teachers are under-represented in all levels of education in England. Furthermore, they are less likely to be promoted into leadership positions compared to their white counterparts (Johnson & Campbell Stevens, 2013; Coleman, 2010; Bush et al, 2006; Steel, 2015; DfE, 2015b). BAME practitioners appointed in leadership positions in secondary schools are only 3.6%, whilst BAME learner numbers have increased since 2006, 27.9% of learners in secondary schools are now from BAME origins (Johnson & Campbell Stevens, 2013, DfE, 2016c). There is an urgent need to address the diversity of teachers in leadership positions within schools to highlight the changing demographic of the student population (Johnson & Campbell Stevens, 2014). A diverse leadership team represents the expectation of equality for learners and creates positive stereotypes as opposed to the subordinate roles that are often associated to staff from BAME origin as discussed by Lumby (2008: 2,19). The statistics present a major concern; the ratio of BAME leaders to BAME students is disproportionate compared to that of their White counterparts. This report will critically investigate the systematic barriers in education that prevent BAME teachers from attaining a leadership position in secondary schools. The first section of this assignment identifies barriers that a BAME group faces throughout the recruitment process, focusing on labelling, characteristics and discrimination. It will then go on to critically analyse barriers relating to inclusivity associated to the Distributed Leadership framework. It will then proceed to identify the gaps and areas of disregard when addressing issues of equality for BAME groups. Finally, it will analyse dedicated leadership programmes and the use role modelling used to support BAME practitioners. 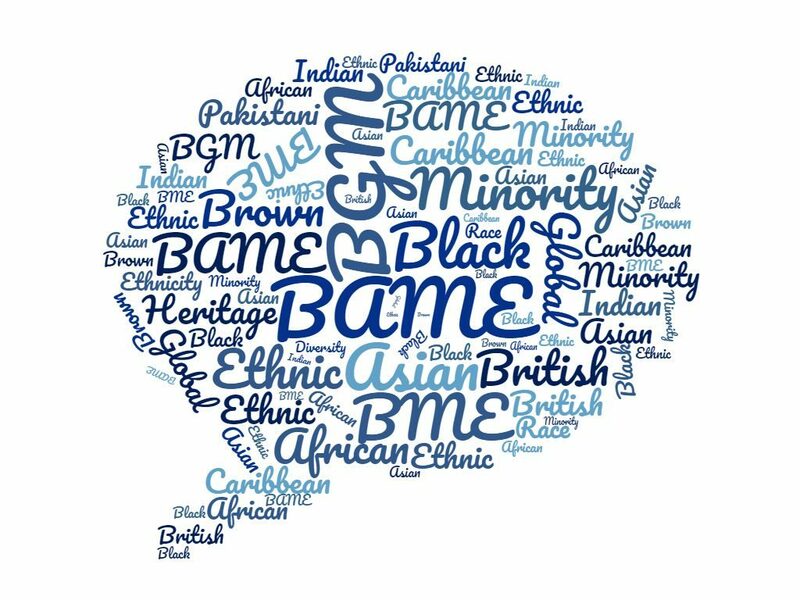 BAME is the latest terminology used to summarize ethnic groups in England. The main characteristic that people associated to the BAME group have in common, is that they are non-white British within the UK (Lumby and Coleman, 2016; Gillborn, 2008). Aspinal’s (2002) work on collective terminology is complemented by Richardson (2006). The research argues that using the label BAME could present limitations as the term Minority has connotations of inferiority, whilst the majority, being white people, belong to a single dominant group. Whilst the use of Black and Asian does not imply that the two ethnic groups belong to a minority. Ethnic grouping does not cater for the individual needs of different ethnic backgrounds. For example, issues of islamophobia as discussed by (Shah, 2010) is typically directed at Muslims commonly from an Eastern Asian origin may not apply to other ethnic groups within the BAME group. Therefore, issues need to be addressed independently rather than being placed in ‘ethnic groups’ (Corrigan, 2013; Gunter, 2004; Lumby, 2013) as it fails to cater for particular needs of individual ethnic groups. Conversely, labels can be useful in highlighting areas of discrimination that ordinarily may be missed. If ethnic groups were not differentiated through the use of different labels, it would be more difficult to identify disparities within the education system for different groups of people. Together the studies from Aspinal (2002) and Richardson (2006) provide important insights into the limitations associated to terminology used to label collective ethnic groups. By adopting a more specific labelling system to cater to the needs of individual ethnicities, this might be a possible solution to break the stigma and negativity associated to the existing labels. This is further justified by the diversity of pupil demographics within the school sector in the UK. This view is supported by Lumby and Coleman (2016:108) who draws on the work of Campbell Stevens (2009), who has proposed the new appropriate term, Black and Global Majority (BGM). Cases of positive discrimination are rare compared to the negative discrimination yet has a negative impact on BAME practitioners Ogunbawo (2012). Similarly, Coleman & Campbell Stevens (2010) study with BAME leaders in education concludes that positive discrimination is generally resented as it is counterproductive and has been used to benefit BAME practitioners on an individual basis. A long term solution has been suggested by Lumby, (2016) by schools creating and inclusive ethos that is reflected through training, policies and leadership structures. Research confirms characteristics relating to race gender, religion and ethnicity have become barriers for progression for BAME (NASUWT and National College 2009; Steel, 2015; Coleman, 2010). Examples of barriers for progression related to characteristics is documented in the early work of Bass (1990), who outlined characteristics that are advantageous to becoming a successful leader. Social background and physical characteristics are two examples documented within the literature that are desirable attributes in increasing a leader’s chances of success. Not all characteristics are accessible, resulting in inequality as agued by Di Tomaso and Hooijerg, (1996: 173-4) cited Gunter (2006) who states that native born white males have an advantage over other ethnicities in regards to higher paid jobs and promotions. Females in leadership positions are also disproportionately under-represented when compared to white males as discussed by Lumby and Coleman (2007), Fitzgerald (2003), Grant (2005) and Davidson (1992). However, complications arise for BAME females as further implications arise relating to gender and breaking through the concrete ceiling (Davidson, 1997) as biological characteristics relate to gender, whilst race also contributes to the additional discrimination (Coleman and Campbell Stevens, 2010). Leithwood, (2009) reviews traits and cognitive characteristics that are synonymous to leadership in education, but fail to mention characteristics that affect individuals of BAME origin. This is an example of a neutral race free pattern that is common in published literature focusing on Educational leadership. This fails to address characteristics that could be subjected to discrimination as argued by Lumby (2013). It includes ethnicity, gender, sexual orientation and religion; presenting additional barriers for entry before even starting the application stage as discussed by (Coleman & Campbell Stevens, 2010). Barriers within the recruitment process impact the progression of BAME teachers. Cultural barriers (Steel, 2015), Age (Bush et al, 2006; Coleman, 2010), Gender (Davidson, 1997), Ethnicity (Wilkins & Lall, 2011), Self-Confidence (Johnson & Campbell Stevens, 2013), Isolation and exclusion (Ogunbawo, 2012) are common barriers that prevent BAME practitioners from achieving a leadership position in education, explored by NASUWT and National College (2009). This combined with intersectionality, the focus of multiple characteristics (Lumby and Coleman, 2016), presents a complex picture for BAME practitioners to become appointed into senior roles in education. During the recruitment process, Intersectionality (Lumby and Coleman, 2016) combined with unconscious bias (Beattie, 2012) is a recipe that could impact BAME applicants through negative discrimination. BAME practitioners are more likely to be stereotyped and profiled during a pre-selection process when applying for a role (Tillman, 2012). In a study by Bertrand and Muller (2004), a thousand resumes with a range of identities with the same credentials were sent out. The resumes contained Caucasian American sounding names and traditional African American names. The study found that White Americans had a 50% advantage of being selected over African Americans. 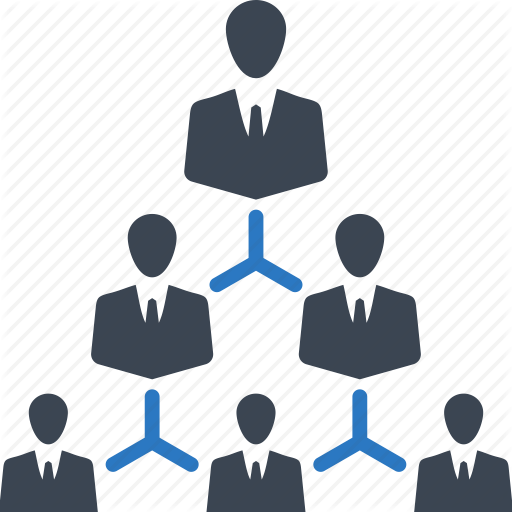 Previous research has established that literature supporting the Distributed Leadership (DL) Theory has failed to acknowledge potential issues relating to inclusion, such as race, gender or religion, therefore creating barriers within the structure preventing BAME practitioners being appointed into leadership positions (Lumby 2013). Lumby has also argued that content in leading literature concerning DL, has failed to address fundamental issues of race and gender. Instead, the literature has been designed for practitioners with a unified identity, creating a delusional stance of inclusivity that ultimately excludes members of the BAME community (Gunter, 2004; Lumby, 2013; Johnson & Campbell Stevens, 2013). DL has become the normative Leadership model in Education (Preedy, 2016; Spillane, 2006; Gunter et al, 2013). Functional approaches attached to the theory were designed to remove dysfunction (Gunter, 2013), so if problems occur, there is a system implemented to distribute responsibilities through to secondary leaders. This has eased the pressure for Headteachers/Principals (Hartley, 2010). Theoretically, this structure is designed to be inclusive, as the label insinuates, and is at the ‘cutting edge’ of thinking about leadership activity in schools’ (Harris, 2003:125). Ultimately, this is not the case. Lumby argues that theories that fail to address or to remain silent regarding barriers in educational leadership, have a detrimental impact on the progression of equality and inclusion (Lumby, 2013; 2016). Therefore, it has been categorized as barrier research as discussed by Johnson & Campbell Stevens, (2014). Inclusivity is an important factor and needs to be clearly defined as one of the core principals within a leadership framework. The distribution of power is categorised under ‘Functional- Descriptive’ where it is focused on the ‘functioning processes’ of schools as discussed by Gunter (2013:6). With DL, the power remains with the Headteacher or Principal through design Spillane (2006), where leaders could decide individually or collectively on how responsibility could be distributed. Gronn (2002) citing Wenger (2000:429) suggests that a multiple leadership structure allows everyone within an organisation to contribute and progress into a leadership position, which is not always the case. In secondary schools, roles are commonly compartmentalized under the distributed leadership framework, with multiple layers of hierarchy. In many cases, power is distributed through subsumption, a hierarchy where each layer of responsibility has incremented power as discussed by Gronn (2002). The DL theory used as a framework has major implications. The theory is still undefined therefore it is subject to the leader’s interpretation (Lumby and Coleman, 2016b; Harris, 2016). How leaders implement the DL framework relies on the functional roles stated in leadership literature, which typically focuses on how to perform its functions (Storey, 2004). This paradoxically has caused a hierarchical structure where power could be interpreted as delegation rather than distribution, contradicting the inclusive ethos associated to the framework (Lumby, 2016; Harris, 2003; Harris, 2016; Mifsud, 2015). From a leadership perspective, Coleman & Campbell-Stephens (2010) discusses the challenges of BAME leaders distributing power. Practitioners often face racism when in leadership positions, as staff have been undermined by authority based on ethnicity. This presents issues relating to inequalities and power resulting in barriers to lead (Lumby, 2013). Issues of race or any other barriers relating to BAME have not been addressed in any of the leading publications based on distributed leadership, this will need to be addressed in order to create an inclusive leadership framework. An increasing amount of scholars (Gronn ,2016; Woods, 2016; Diamond and Spillane 2016), have critiqued the DL framework and propose alternative frameworks for DL. This has started to address inclusion and exclusion relating to the BAME community. Woods (2016) argues that social authority is an alternative method used to increase social interactions to break down the hierarchical framework commonly used when implementing a DL framework. Social authority does not have a principal or head of the organization that holds the majority of the power. Diamond and Spillane (2016) have suggested a new theory based on their research on distributed practice by highlighting implications of leadership and BAME communities. This acknowledges the changing environment in demographics in school education. It also mentions the importance of social interaction and the need for additional research. This is a breakthrough into the emergence of a leadership network that addresses issues of equality. In order to become more inclusive to BAME groups, the literature will be more relevant if it addresses the potential limitations and invest in research to improve entry for BAME groups into leadership positions. Government initiatives have been implemented to help increase the number of BAME practitioners in leadership positions (DfE, 2015a). Numbers are increasing as more BAME are joining the teaching profession. New BAME trainee teachers were 14% of the total cohort between 2015 -2016, which was an increase of 2% compared to the previous academic year (DfE, 2015b; 2016b). Despite such increase, there are still not enough teachers joining the profession and a disproportionate amount of BAME trainee teachers underachieve and drop out of Initial Teacher Training (Wilkins, 2011). This is a contributing factor to the under-representation of BAME teachers. Steel (2015) forecasts that an additional 14,429 secondary teachers will need to be appointed to represent the total BAME learners in state funded secondary schools. According to the charities; The Future Leaders Trust, Teach First and Teaching Leaders, up to 20,000 headteachers and senior leaders are due to retire by the year 2020 (BBC, 2016). This could be significant for schools towards building a diverse workforce in leadership positions in secondary schools in order to better represent the increase of BAME students. Government supported leadership programs such as the Leadership Equality and Diversity Fund, Future Leaders and Teach First have been introduced to increase the number of practitioners including those from BAME background. Bespoke leadership development programs have been successful in increasing BAME practitioners in leadership positions. Investing in Diversity was set up specifically for BAME, funded by the London Centre of Leadership. Research was conducted focusing on the success of the ‘Investing in Diversity Program’ where 250 BAME participants were interviewed (Johnson and Campbell-Stephens, 2013). Two thirds of the participants who applied for promotion in leadership positions were successful. Almost all participants mentioned that the program was beneficial in clarifying areas of professional development and opened more opportunities to lead. BAME leadership development schemes are successful in preparing BAME candidates and developing confidence to overcome barriers. 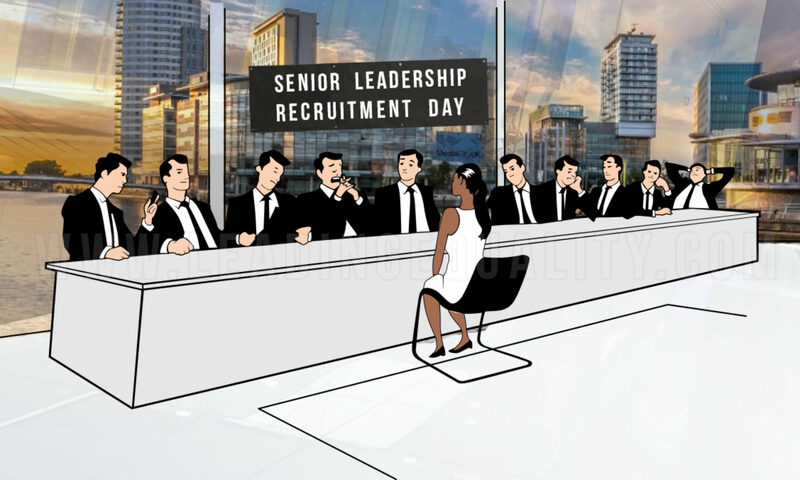 Bespoke leadership programs have been effective, due to the personalized approach breaking the legacy of ‘colorblind’ (Mabokela and Madsen, 2003; Johnson & Campbell Stevens, 2010; 2014) leadership programs that have failed to address the barriers that exclude BAME practitioners from achieving a leadership position in education. Topics such as social context, moral purpose and cultural awareness are examples of a personalized approach to help BAME practitioners to overcome barriers to promotion as discussed by Coleman (2010) and Johnson and Campbell-Stephens 2010; 2013). On the contrary this has been viewed as positive discrimination (Ogunbawo, 2012: p161) as some professionals have described BAME bespoke leadership programs as ‘patronizing’ and ‘inappropriate’. Ultimately the Investing in Diversity program has developed an innovative way of addressing areas of diversity and inclusion that would be beneficial to incorporate within major leadership development schemes. The success of Investing in Diversity scheme emphasizes the relevance of dedicated leadership programs to increase the number of BAME in leadership positions and to help BAME practitioners overcome barriers and limitations as discussed in section 1 and 2. Substantial effort is required by mainstream government funded leadership development schemes to ensure that fairness, equality and diversity is embedded to be inclusive for all future leaders Ogunbawo (2012). This would start to increase the representation of BAME practitioners to reflect the diversity of BAME learners. BAME leaders play an important role for BAME teachers to make a transition into leadership positions, breaking through the metaphorical concrete ceiling as discussed by Coleman (2010), Maylor (2009) and (Steel, 2015). The representation of BAME role models in leadership positions reinforces a positive mindset which will challenge cultural stereotypes and improve aspirations, encouraging BAME practitioners to aspire towards leadership positions in education. Furthermore, there are also negative role models that plague communities that have become normalised for some youths living within inner city communities, commonly associated with a low economic status. (See Video below). This is an extreme example of negative stereotypes and role models; however, it reinforces the importance of positive role models in all levels of education. Interviews of BAME headteachers in studies conducted by Johnson & Campbell Stevens (2013) Bush et al (2006) and Steel (2015) has revealed informal groups and mentoring has been beneficial in the pursuit of leadership positions. Contrary, Lumby (2007:106) draws on the work of Delgado (1991) who argues that ‘role modelling is supporting assimilation to the majority’. This relates to the importance of embracing culture and identity Bush et al (2006), these are important characteristics for BAME role models to promote inclusion and diversity. Overall, BAME role models emulate a visual representation of what could be achieved, which is essential to attract quality BAME practitioners in leadership positions. It is vital for leaders to recognize the importance of a diverse leadership structure to address negative stereotypes of BAME being associated to subordinate roles within schools (Colman, 2010) and become role models for the future generation of learners and aspiring leaders from BAME backgrounds. This report has argued the importance of inclusion throughout the recruitment process and has revealed a range of systematic barriers which have contributed to the under-representation of BAME practitioners in leadership positions. Characteristics associated to BAME practitioners add disadvantage due to additional barriers that could fuel discrimination through the recruitment process, unless unconscious biases are addressed throughout. Structural barriers within leadership frameworks, such as DL, need to be addressed to become more inclusive to inspire the future generation of teachers from BAME backgrounds, as it provides a route into breaking cultural stereotypes as discussed by Maylor (2009) and Steel (2015). The government has introduced schemes to improve the number of BAME which has contributed to an increase in BAME practitioners through a range of training recruitment incentives. This has contributed towards an increase of BAME numbers, however they will be coming into a system that is still restrictive with race based inequalities (Johnson & Campbell Stevens, 2014) and structural barriers. Leaders are responsible for the education of staff when dealing with issues based on equity and equality, ensuring inclusivity is a part of a schools’ vision as discussed by Beattie (2012) and Lumby and Coleman, (2016). In order to dismantle the long line of subliminal institutionalized racism, a new outlook focusing on equality and fairness will have to be introduced on a national level on how schools are structured and managed (Johnson & Campbell Stevens, 2014). Aspinall, P.J., 2002. Collective Terminology to Describe the Minority Ethnic Population The Persistence of Confusion and Ambiguity in Usage. Sociology, 36(4), pp.803-816. Bass, B., & Stogdill, Ralph M. (1990). Bass & Stogdill’s handbook of leadership: Theory, research, and managerial applications (3rd ed.). New York ; London: Free Press. BBC. (2016). 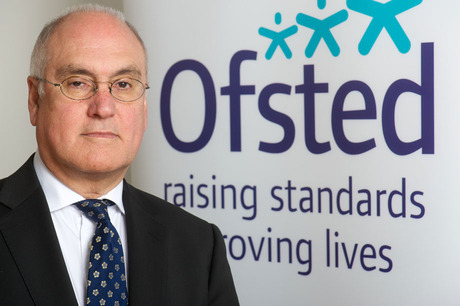 Schools ‘could be 19,000 heads and deputies short by 2022’. Available: http://www.bbc.co.uk/news/education-37941501. Last accessed 12th Dec 2016. Bertrand, M. and Mullainathan, S., 2004. Are Emily and Greg more employable than Lakisha and Jamal? A field experiment on labor market discrimination. The American Economic Review, 94(4), pp.991-1013. Davidson, M.J. and Cooper, C.L., 1992. Shattering the glass ceiling: The woman manager. Paul Chapman Publishing. Delgado, R. (1991) Affirmation action a majoritarian device: or, Do you really want to be a role model? Michigan Law Review, Vol 89. No. 5, pp. 1222-1231. Department for Education (2015a). Initial teacher training census for the academic year 2014.Available https://www.gov.uk/government/uploads/system/uploads/attachment_data/file/380175/ITT_CENSUS_2014-15_FINAL.pdf. Last accessed 22nd Nov 2016. Department for Education (2015b) Grants to Help Boost Diversity in Senior School Leadership, London, Department for Education, Available from: 42 https://www.gov.uk/government/news/grants-to-help-boost-diversity-in-senior-schoolleadership [Accessed 15th November 2016]. Department for Education. (2016b). Initial teacher training census for the academic year 2015 to 2016. Available: https://www.gov.uk/government/uploads/system/uploads/attachment_data/file/478098/ITT_CENSUS_SFR_46_2015_to_2016.pdf. Last accessed 22nd Nov 2016. Department for Education. (2016c) Schools, pupils and their characteristics: January 2016. Available: https://www.gov.uk/government/uploads/system/uploads/attachment_data/file/552342/SFR20_2016_Main_Text.pdf. Last accessed 10th Dec 2016. Department for Education (2016d). School Revenue funding: current funding arrangements. Available: https://consult.education.gov.uk/funding-policy-unit/schools-national-funding-formula/supporting_documents/Current_funding_system.pdf. Last accessed 10th Dec 2016. Grant C. (2005). Teacher leadership: gendered responses and interpretations. Agenda Empowering women for gender equality. 19 (65), 44-57. Gronn, P. (2002). Distributed leadership as a unit of analysis. The leadership quarterly, 13(4), pp.423-451. Hartley, D., 2010. Paradigms: How far does research in distributed leadership ‘stretch’?. Educational Management Administration & Leadership, 38(3), pp.271-285. Harris, A. and DeFlaminis, J., 2016. Distributed leadership in practice Evidence, misconceptions and possibilities. Management in Education, p.0892020616656734. Johnson, L. and Campbell-Stephens, R., 2010. Investing in Diversity in London schools: Leadership preparation for Black and Global Majority educators. Urban Education, 45(6), pp.840-870. Johnson, L. and Campbell-Stephens, R., 2013. Developing the next generation of black and global majority leaders for London schools. Journal of Educational Administration, 51(1), pp.24-39. Johnson, L. and Campbell-Stephens, R., 2014. Beyond the colorblind perspective: Centering issues of race and culture in leadership preparation programs in Britain and the United States. In International handbook of educational leadership and social (in) justice (pp. 1169-1185). Springer Netherlands. Lumby, J, 2013. Distributed leadership the uses and abuses of power. Educational Management Administration & Leadership, 41(5), pp.581-597. Mabokela, R.O. and Madsen, J.A., 2005. ‘Color‐blind ‘and ‘color‐conscious’ leadership: A case study of desegregated suburban schools in the USA. International Journal of Leadership in Education, 8(3), pp.187-206. Ogunbawo, D., 2012. 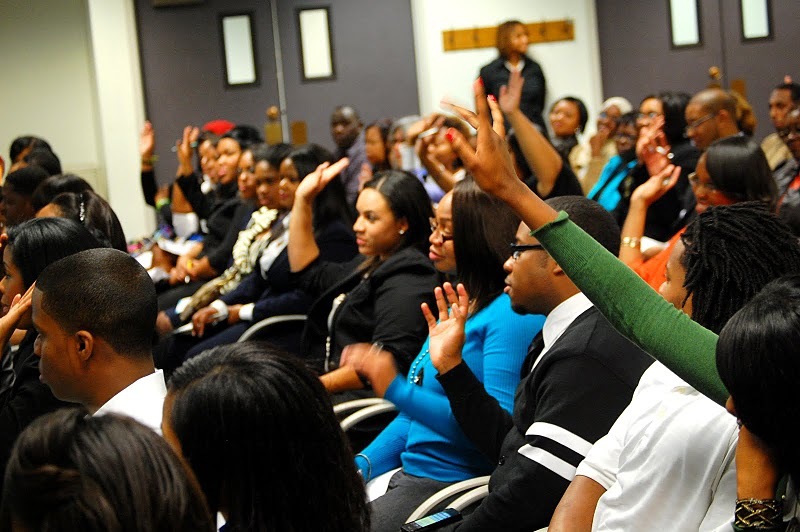 Developing Black and Minority Ethnic Leaders The Case for Customized Programmes. Educational Management Administration & Leadership, 40(2), pp.158-174. Shah, S. and Shaikh, J., 2010. Leadership progression of Muslim male teachers: interplay of ethnicity, faith and visibility. School Leadership and Management, 30(1), pp.19-33. Teach First. (2015). Teach First and key supporters pledge to operate recruitment on a ‘name blind’ basis to address discrimination. Available: https://www.teachfirst.org.uk/news/teach-first-and-key-supporters-pledge-operate-recruitment-%E2%80%98name-blind%E2%80%99-basis-address. Last accessed 3rd Jan 2017. Tillman, L.C., 2012. Inventing ourselves: An informed essay for Black female scholars in educational leadership. International Journal of Qualitative Studies in Education, 25(1), pp.119-126. University of Manchester. (2016). Equality and diversity. Available: http://www.manchester.ac.uk/connect/jobs/equality-diversity/. Last accessed 29th Dec 2016. Wenger, E., 2000. Communities of practice and social learning systems. Organization, 7(2), pp.225-246. Wilkins, C. and Lall, R., 2011. ‘You’ve got to be tough and I’m trying’: Black and minority ethnic student teachers’ experiences of initial teacher education. Race Ethnicity and Education, 14(3), pp.365-386. Woods, P.A., 2016. Authority, power and distributed leadership. Management in Education, 30(4), pp.155-160.